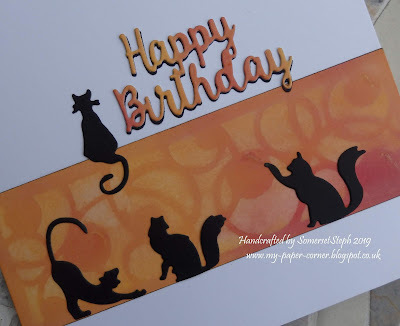 I wanted to try an Eclipse style card as I've seen so many fellow crafters over on the docrafts site making them and the effect is just wonderful. 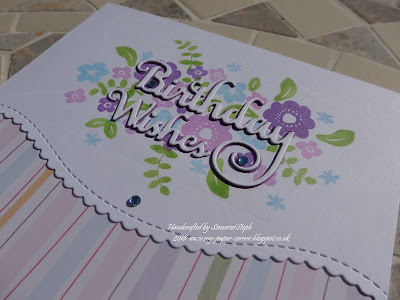 In the absence of any large alphabet dies in my stash I chose a Birthday Wishes sentiment die to use instead. Started off by stamping my floral design and cutting a pretty stitched scallop edge underneath to create a top panel before tackling the sentiment. 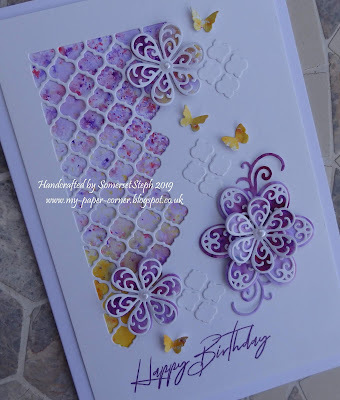 I ended up cutting the sentiment out five times, firstly it was die cut out of the floral panel, then there are three in purple glued underneath the top white one which I decided stands out better than the original stamped one which I'll keep and use on another card. 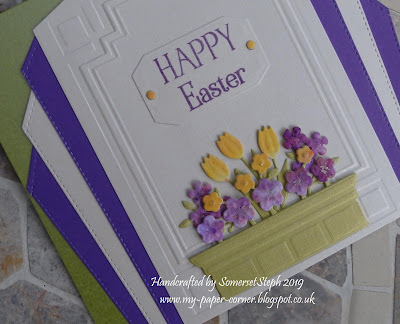 I like how the sentiment is raised up over the flowers with just a hint of purple shadow. Not a real Eclipse card but in the style of. The dragonfly is stamped, embossed, die cut then coloured with promarkers with added glossy accents before adhering to the card just under it's body. 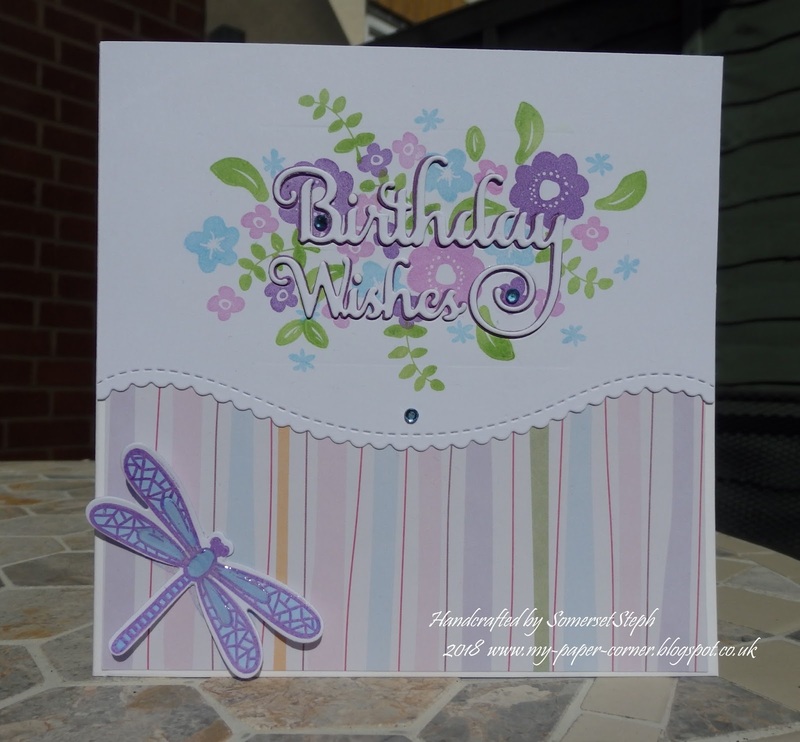 Here's a close up showing the shadow layers of the sentiment.